Corrales, New Mexico is located in Sandoval County near the cities of Rio Rancho and Albuquerque. This village is known for outdoors events, agricultural activities, and quiet residence spaces. The Corrales area is very deal for horseback riding and is great for having animals. Corrales, New Mexico features a great neighborhood, small community, and a population of over 8,000 residents. The homes in Corrales are on lush, green agricultural lands, and some spaces offer a few acres of space. The local town features shops and restaurants that are very family friendly. You can talk a walk or ride your bicycle down the streets and enjoy a laid back setting. When you exit Albuquerque into the Village of Corrales, you will notice that there is a large amount of trees, farms, land, and animals. This very friendly environment is great for the eco-system and for animals. Corrales is absolutely beautiful in all seasons of the year. The homes here in Corrales are beautiful. You can find great property with land. You can plant trees, have farm animals, and enjoy the beautiful outdoors of Corrales. The location and weather of Corrales allows for this unique and incredible neighborhood to stand out and to be held as a diverse neighborhood centering on markets, local businesses, and the relaxed atmosphere of the town. You can easily visit Corrales within a short driving distance from Albuquerque and Rio Rancho. Once, at Corrales be sure to stop and walk around to learn about the town and its wonderful places of interest. Living in Corrales, New Mexico is an ideal place for large areas of space. You can find a great home with land. The land in Corrales is known for producing fresh vegetables and fruit. You can easily find markets and places that sell fresh fruit and fresh vegetables at low prices during the summer months. Be sure to drive through Corrales and visit to see the local neighborhood area and take a moment to enjoy the wonderful environment. Everything in Corrales is within an easy distance. You can relax and take a walk down the street to get a fresh pizza and salad for an afternoon lunch. The roads in Corrales are easy to navigate. Bicycling and horse-back riding are allowed in Corrales. Corrales is known for its great atmosphere of being animal friendly and a beautiful place for horseback riding. The weather in Corrales is similar to the weather in the nearby cities of Albuquerque and Rio Rancho. Corrales sees over 300 days of sunshine throughout the year. There is rain and a few snow days. This Corrales environment and its land near the Rio Grande River make it ideal for growing crops, fruit, vegetables, and for raising farm animals. The Corrales warm temperatures and cool weather allows for you to buy a house with large windows to view the incredible Sandia Mountains and to have a large amount of land on your property for your activities and family gatherings. The Village of Corrales is home to incredible outdoor activities. The Bosque area and Rio Grande River is just a short distance away, and the great Sandia Mountains are within reach of a short driving distance. You do not have to drive far or walk far to really be with nature and the wilderness of the Rio Grande Valley. The high desert climate, temperature, and location offer great outdoor activities for you to participate in with family and friends throughout the entire year. You can find incredible fishing spots near the Corrales area. It is best to have a fishing license and purchase yearly pass. The ponds and lakes are usually stocked with catfish and trout during the summer and fall months. For the summer, be sure to wake up early and head out for a great day of fishing. The fall months are great for fishing too. There are many great areas for horseback riding in Corrales and areas near Corrales. Be sure to check out Red Horse Riding Company, Alameda Stables Inc., Valencia Farms, and a variety of incredible places and local Corrales businesses that provide a place for horseback riding. You can find and discover great places to visit, learn about horseback riding, take a lesson for yourself, and enjoy the awesome experience of horseback riding in the southwest from morning to early evening throughout the year. Other great ideas for outdoor activities include hiking and walking. There are areas such as the open spaces, local trails, and the Sandia Mountains to gain access to trails. Trails are abundant here in the southwest. The high desert climate allows for you to experience cool mornings and late afternoons while hiking and walking. You can visit a trail and see the sunrise or sunset here in Corrales. Corrales and the surrounding areas allow for you to enjoy the wildlife. Corrales area is home to migrations of hundreds of birds. The high desert climate allows for beautiful plants such as the cottonwood trees and other plants to thrive. You can find a great trail to take an afternoon walk on a weekend. Corrales is definitely a great place to live in. The Corrales neighborhood and surrounding area is connected to the city of Albuquerque. This makes Corrales a great place to live in. in Corrales and in Albuquerque, you can find great cultural music performances and events that happen throughout the entire year. Be sure to check online for events, ticket prices, and performances. The neighborhood of Corrales is a great family friendly village. There are great shops and dining too. The village hosts a Harvest Festival, a 4th of July Parade, and they have a year around Growers’ Market too. Some shops include Farm markets, bakeries, local area businesses, and restaurants. Be sure to take a stroll along the main street areas, especially on weekends to see shops open and look inside their stores. The Corrales neighborhood is home to Wagner Farms Chile, a local business and great place for vegetables in the area. Their address is 42 Wagner Lane Corrales NM 87048. Wagner Farms Chile offers incredible fresh chile. Wagner Farms Chile hosts an Annual Festival too. Be sure to check out Wagner Farms Chile for great selection of vegetables and fruit for you and your family. You can buy apples and fresh fruits for your family and friends. You can make it a family dinner and have Wagner Farms’ apple cider at your dinner too. Another incredible local place of interest is Hannah & Nate’s Market Café; which is located at the address of 4512 Corrales Road, Corrales, NM 87048. This is a local business which serves fresh and delicious foods and dishes. Head over to Hannah & Nate’s with your family and friends for a morning breakfast or afternoon lunch during your stay in Corrales. Hannah & Nate’s menu offers a great variety of breakfast items such as pancakes and huevos rancheros. You can find great, delicious sandwiches on the menu served at lunch time too. Be sure to support local Corrales restaurants and businesses. You can find incredibly good foods and items for you and your family and friends to enjoy. The Corrales neighborhood includes a great Parks & Recreation department. Be sure to check out their website for a schedule of classes. There are tennis courts, a swimming pool, and recreation facility too. There are a few parks located throughout Corrales, most notable the Corrales Bosque Preserve feature easy walking trails to the Bosque area. Make sure to enjoy long walks outside on the trails, see the wildlife, and look at the cottonwood trees. The business and economy of Corrales is continually growing alongside the Albuquerque and Rio Rancho cities. Corrales offers plenty of opportunities for jobs, great salaries, and a growing place for businesses to operate in. Be sure to support local businesses and check out what they have to offer here in the lovely village of Corrales. There are great local businesses, markets, shops, and restaurants. The Corrales Growers’ Market continues throughout the year. During the winter season are the Winter Markets. This market takes place in the early afternoon monthly on the very first Sundays. Be sure to check online for more information about the Winter Markets. You can find music, fresh chile, apples, honey, and other great foods at this market. Local vendors are from local farms, businesses, and bakeries. Be sure to visit them at the Winter Markets and try their food items and services. There are a few ways to become involved in the neighborhood friendly village of Corrales. You can become an intern at the Parks & Recreation department. There is a Sandoval County Master Gardeners program where you can learn how to properly garden and produce fresh fruit and vegetables with the guidance of New Mexico State University educators. Be sure to check out community websites and find a place to volunteer at in Corrales! 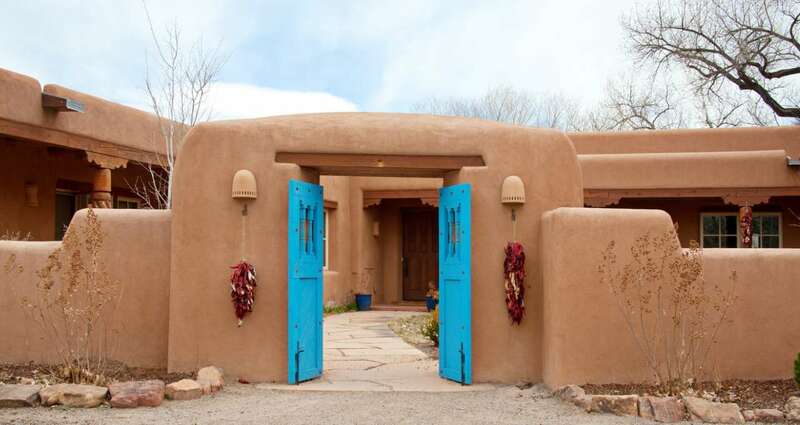 Learn more about the homes for sale and great property in Corrales. Meet your real estate agent for your perfect dream home and for assistance on buying your home in Corrales too. A local real estate professional is one of the best sources of information about events and attractions in their area. With their local expertise, you’ll quickly get a hang of your new city! If you’re interested in knowing more about Corrales real estate, or the neighborhoods around Albuquerque like Rio Rancho, don’t hesitate to reach out! Myers & Myers Real Estate is here to help.